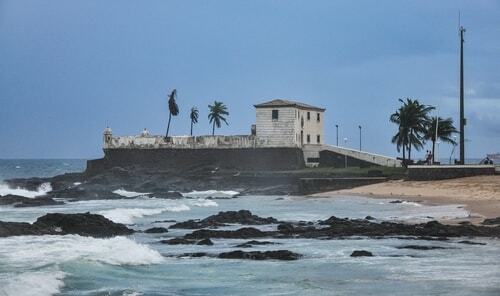 Salvador de Bahia reminded me of Sub-saharan Africa, and that's not exactly a compliment. Tourist-wise however it is one of the most interesting cities I visited in Brazil: the historical center (Pelourinho) is stunning, with plenty of colored colonial buildings and lovely historical churches. Then, take the "Elevator Lacerda" to reach the lower city and go visit the the Barra neighborhood with its beachfront fortresses. 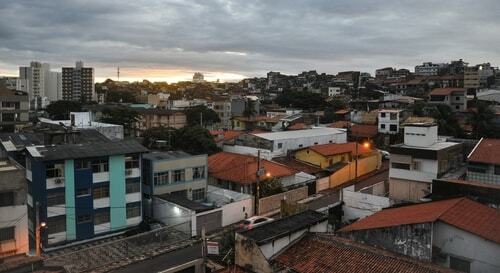 Barra is a neighborhood located in the south zone of the city of Salvador, Bahia, Brazil. Barra is one of the most traditional neighborhoods of the city. 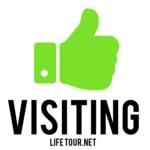 With many attractions, like Farol da Barra Lighthouse, Morro do Cristo Hill, Farol da Barra Beach, and Porto da Barra Beach. Barra has a large number of beaches, shops, cafes, restaurants, bars, nightclubs, residences, fitness clubs, banks, parks, events, and historic monuments. 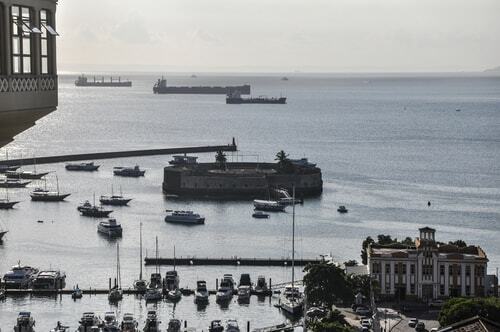 The Lower City is the coastal area (bathed by the Bay of All Saints) of the city of Salvador. It is a relatively narrow plain, linked to the Upper City by the Lacerda Elevator. The main economic activities of the region are port and commercial. 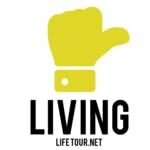 Pituba is a large upper class neighborhood located in the southeastern zone of Salvador, Bahia. Its name is indigenous origin and means "breath, breath, sea". 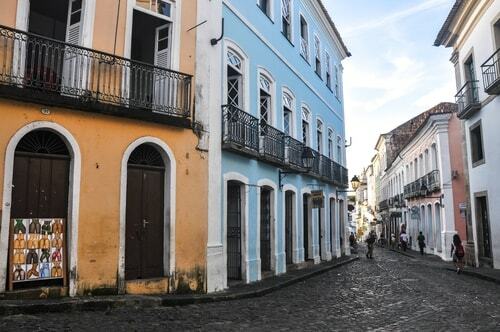 Pelourinho (Pillory) is a historic neighborhood in western Salvador, Bahia. The Historic Center is extremely rich in historical monuments dating from the 17th through the 19th centuries. This area is in the older part of the upper city (Cidade Alta) of Salvador. It ecompasses several blocks around the triangular Largo, and it is a great location for music, dining and nightlife.